Banovich Wildscapes Foundation, nonprofit (501c3) organization fostering cooperative efforts to conserve the earth's wildlife and wild places benefiting the wildlife and the people that live there. 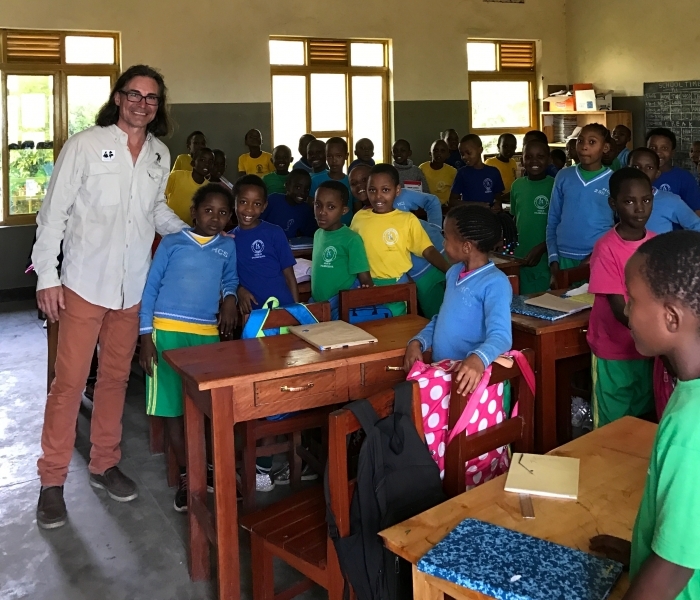 Wildscapes Foundation is proud to be raising funds and partnering with the Behring Global Educational Foundation for the distribution of wheelchairs in Tanzania and Rwanda this summer. The Wheelchair Foundation is a nonprofit organization leading an international effort to create awareness of the needs and abilities of people with physical disabilities, to promote the joy of giving, create global friendship, and to deliver a wheelchair to every child, teen and adult in the world who needs one, but cannot afford one. 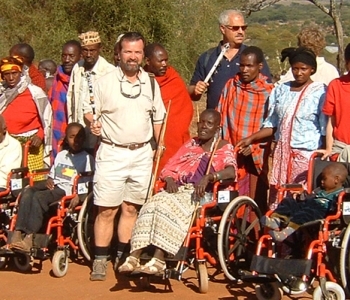 For these people, the Wheelchair Foundation delivers Hope, Mobility and Independence. This project exemplified the model of creating community understanding and support in order to save wildlife. 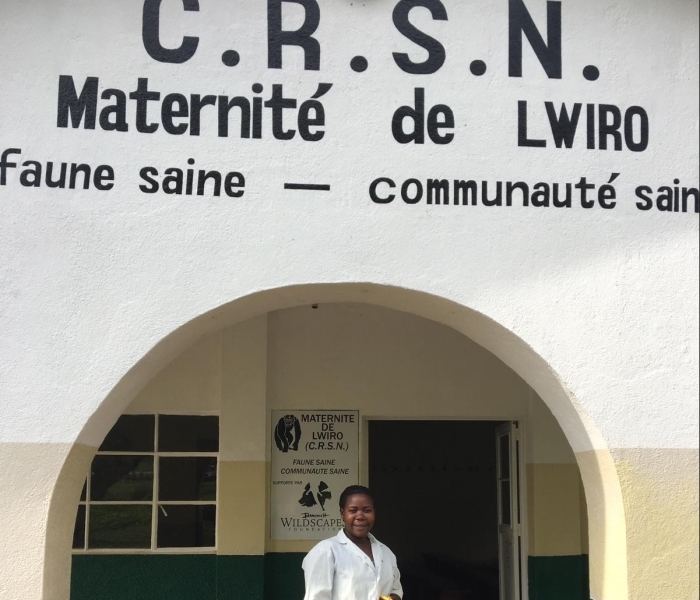 While the needs of the community are many the Banovich Wildscapes Foundation has chosen to address the needs of the mothers and infants of the Lwiro community with the rehabilitation of the Lwiro Maternity Clinic. It is critical to the success of the program for wildlife and humans alike that money continues to run through the CRPL so it continues to be seen as a positive force in the community and the people and government continue to be engaged in its success. WE ARE MAKING A DIFFERENCE and with continued support we can gain momentum in aiding the community understanding that in conserving WILDLIFE everyone wins. 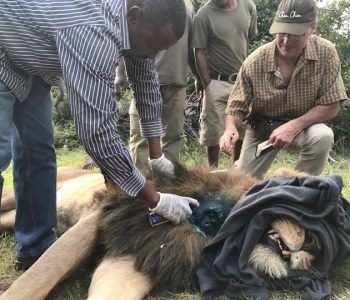 The BWF Lion PRIDE Initiative is dedicated to conserving lions through supporting important scientific research to preserve large conservation landscapes and benefitting rural community development. 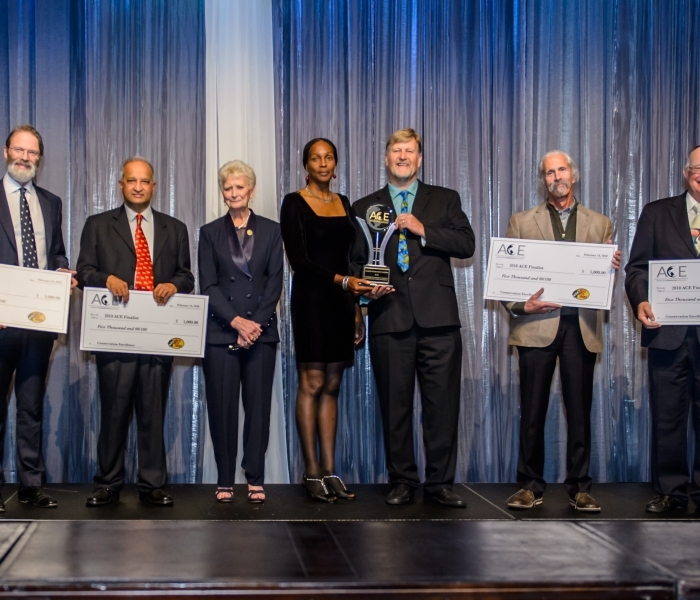 The Award for Conservation Excellence (ACE) was created to recognize the exceptional contributions made by some of the world’s leading conservationists and is intended to become the most significant award in the conservation arena. The mission of ACE is to honor and appreciate a legacy of conservation through recognition of men and women who share their passion to conserve the great outdoors, and have made extraordinary contributions to the sustainability of nature and wildlife. The Award will recognize a conservationist’s long-term commitment to making our planet a better place, and empower people in both local and international communities to advance wildlife conservation. *Inclusive education program for children with disabilities. The Ubumwe Preschool is one of the only schools in Rwanda to enroll children with disabilities and has proven to be innovative in inclusion education.